"Innovation starts with action". 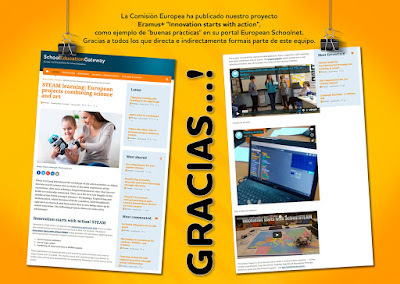 Erasmus+/eTwinning project. Occupations of the future have been changing rapidly and the knowledge and skills acquired today are not foreseen to be sufficient while preparing our students for life. According to the researches, 65% of people will be employed in new fields of employment which are not even known today. It is emphasized about these occupations that 21st century skills such as digital skills, critical thinking, cooperation, team spirit, innovative and analytical thinking are required. Technology has been improving so rapidly that even internet of objects has begun to be discussed. It is of great importance for students to adapt to these constant and rapid changes in technology. Individual competencies in STEAM subjects (science, technology, engineering, arts and mathematics) are getting more important for occupations of the future which are based on high technology. Therefore, innovative approaches are required in education. The project began in 2016 and will end in 2018; it involves six countries - Turkey (project coordinator), Italy, the Former Yugoslav Republic of Macedonia, Romania, United Kingdom and Spain. This project was funded by Erasmus +. 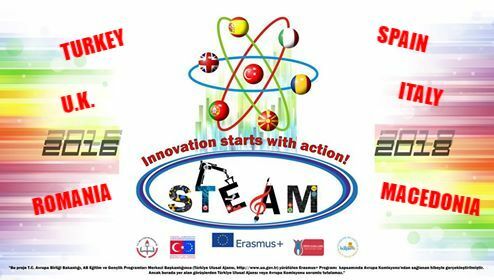 The European Commission have selected "Innovation starts with action" project as an example of good practice in the May´s editorial of the School Education Gateway.